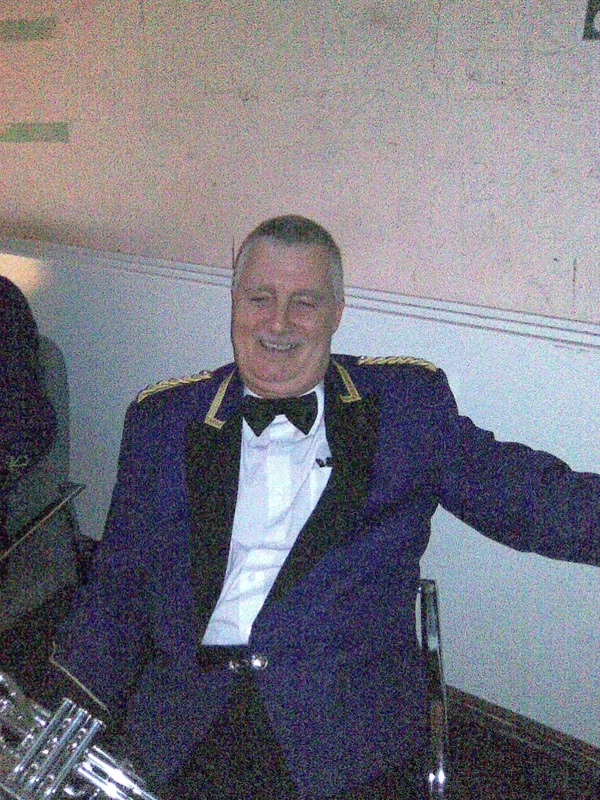 Welcome to Cornet Corner with Colin, brought to you by third cornet with the world famous Brighouse and Rastrick Band, Colin Brook. On this page Colin offers sage advice to all. Alex writes: Hey Colin, I play cornet and my lips are always chapped. Do you have any advice? Colin responds: Well Alex, I suggest that when you are with your Lass you should stop ——————– (edited due to dirty content) and that should take care of your chapped lips. Good luck! YEAH!!! Colin’s computer up and running. Write in with your questions. He’ll change your life! I noticed you were sposored by “polygrip” have your teeth ever fallen out when playing? im happy to say no my teeth have never interupted my perfect playing and i do owe all my success to ‘poligrip’. Don’t if your the right man to ask but the hot tap in the bathroom is dripping and this keeps the gas boiler running all night. What should i do? I,m at my witts end and it’s costing me a fortune. if we look on the brighter side at least u always have hot water on a morning for a shower and as for the boiler running all night i suggest a good set of ear muffs or regulation ear defence. When you have polished off a big fat turkey and Christmas pudding ….what does your Lass think to you doing 2 hours on Area test piece? She was happy that the daily practice time had been halved from 4 to 2hrs on account that i was also doin the cookin. I wondered what you think of cornet players like Brian turning up late for band? It cant be good not warming up before playing! In my defense I did wait outside The Black Bull for Steve and Richard for nearly 45-minutes. Given Steve’s driving ability and the road-worthiness of his car, I should have had a couple of pints before the ride. Brian, I only hope the excuse is a good one! Colin will be most dissapointed. He will now have to play two parts. We all know he is the best 3rd cornet in the world but im sure he cant manage that. His teeth will fall out when he steps up in register!!! I had better bring my own Polygrip in case he runs out. No not a great excuse. But scheduled since November. I’m Dep for Mick next week, so he is staying on to Dep for me tomorrow. I’m back on task for Sunday. While I’m sure Colin could handle both parts (multiple-harmonics anyone?) he won’t have to. He already has his hands full trying to keep Mick, Richard, and Dean in line. Add me to the mix and it becomes a HUGE job. As a member of all-male bands for most of your playing career, I was wondering what your opinions are on women in banding? dearest sheona;Yes it is true i have spent most of my banding life in proper bands,but i personally dont have a problem with women in band organisations,without them who would clean the toilets and more important who would make the meals at the massed band concet? How important do you think deportment is in the show-business of banding? I attended a concert at RAH recently, and the 3rd cornet player waltzed on stage 5 minutes after his team-mates. I was astonished, and I’m sure you would be too! hi GOBBY SETH;For your imformation i was late on stage at the ALBERT HALL because i had to visit the toilet to change my incontinence BAG! Im having problems playing a triple tounge bit in one piece. Crowther suggested someone should just shake me while I played a long note. Is this the sort of method you would employ? SIMON; My reply to you is short and sweet.YOU ARE A BASS PLAYER.what the F_ _ _ _ _ _ _ hell do you want to know about triple tounging for?And as for crowthers suggestions,well you know where he can stick those cant you! It has been some time since we met and heard you for the first time. Back then I could, even within a well balanced section, hear your powerful and penetrating sound. Over the years I have lurked in many of the finest band contest venues and have noticed that you have managed to keep this special tone. For all those American students reading this page could you explain how you have managed to maintain this tone and would you suggest the Yamaha Xeno as the best instrument to achieve this on the 3rd cornet desk? I would say hope to see you soon, but this would probably not be in good taste. DEAR (richard)SORRY ERIC,I knew you were a genious but bloody hell speaking to me from beyond the grave!I always knew you were a great fan of mine,after all you wrote the solo in RESUGAM just to here my sweet tone didnt you.The XENO is a good cornet,but to be honest,i still prefer my 928.Anyway Eric,nice to here from you,give my best wishes to MORT. Just remember the 6.6% Angle of the Dangle! G,DAY DAVID, Jesus Christ David, Im still trying to find out where my bloody ICTUS is.Is the DANGLE any where near my dongle?